We ae taking a step into the world of John Mayer today, with a look at his series, The Parliament House Books. Why not grab yourself a cuppa, put your feet up and settle down for a read? Firstly, please allow me to say how refreshing it is not to be answering the same questions as I normally do for these things. Well, I’m John Mayer and I write The Parliament House Books. Why? The honest answer is that having lost the community into which I was born and then lost the one where I grew up, both to City Hall ordered demolition I hoped I would find that sense of community in Parliament House; which contains the Scottish Faculty of Advocates. I didn’t. Instead, I found what Lord McEwan called ‘a nest of vipers’. So, in what I think is typical form for me, I created the community I wanted to live amongst. You might say that creating The Parliament House Books was, for me, a kind of necessity. It’s certainly a community I enjoy being amongst. 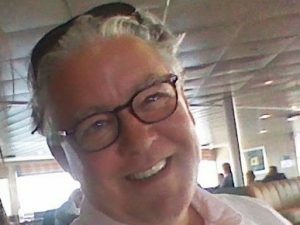 During my twenty years as an Advocate in the Supreme Courts of Scotland, having written legal text books, journal articles and been published in non-fiction hardback, I thought I could simply start writing fiction. I figured that I had many transferrable skills. After all, when writing complicated legal arguments, you only get one chance to get it right in court. So, having been very successful in my written practise and being very persuasive in oral argument, I’d be an immediate success with The Parliament House Books. Right? Wrong! I went through two editors and a couple of thousand pounds in trying to learn. What I discovered was that – as the Chinese say about lawyers – if you started in London and laid all the editors in the world end to end, they’d never reach a conclusion. So I took what I thought were the best bits of their advice and just began to write just for myself. I quickly learned that, as with giving love and affection, if you try too hard, it comes out wrongly. You firstly have to feel that honest deep-down feeling and then find a way of bringing it to the surface. Then comes the difficult bit: imparting it in a way that makes the receiver feel that your passion is offered solely for them. That private feeling of connection between author and reader is what makes people keep turning pages. As I’ve deepened and developed my writing skills, I’ve also learned something of vital importance. That is never to think that my words are chiselled in stone. As I’ve become a better writer, I’ve gone back to the three prequels and the first novel in the series and re-written certain parts. I like that Amazon gives those who’ve bought an earlier edition the chance to get the later one free. I’ve had people write to me and say they were in tears when reading the changes. That’s the phenomenon I was talking about earlier: the private connection between author and reader. It’s very intimate and thus very delicate. It’s a privilege to connect with readers to that depth. Well, I guess it’s time to talk about the characters who populate the pages of The Parliament House Books. Despite Brogan McLane being a Glaswegian like me, and despite being an Advocate in Parliament House, he as the central character, isn’t me. McLane’s blood brother, Big Joe Mularkey, is also fictional; though he is based on someone whom I know very well. Some characters however, are real, though I lost touch with them many years ago. There is a real Tucker Queen and a real Arab. In the second novel The Order, I had permission to use a real character who is a young blue-haired beauty whose abilities with all things digital are second to none. There is a character which I very much enjoy writing and which is real. I say which and not whom because the character is a place and not a person: it’s the Calton Bar. I see the Calton Bar as the focal point of the community called The Calton in Glasgow. It’s – to coin a phrase from the 90s – a place where everybody knows your name and they’re always glad you came. Many reviewers have said the price of the book is worth paying just for the parts in that Bar. Court battles where the judge favours one side, the behind-the-scenes wriggling of The Crown Prosecution Office, the way old school ranks can close in the blink of an eye, the way personal agendas often take precedence over sworn oaths, all lead to injustice and despair. There’s plenty of injustice to be found in The Parliament House Books, but there’s a brighter side too. Especially that camaraderie found in the Calton Bar amongst people who’ve known and trusted each other all their lives. And of course, there’s the joy of winning when you’ve been on the side of the righteous. I hope you enjoy your visits to my world called The Parliament House Books. John Mayer was born in Glasgow, Scotland, a war-zone where violence and poverty reigned. In 1963 when he heard The Beatles on Radio Caroline, he decided to change his life. Aged 14 he left school because, in his opinion, he wasn’t being taught. For the next year, in all weathers, he cycled 9 miles to and 9 miles from the Mitchell Library in central Glasgow where he devoured books of all kinds and began to understand what more the world had to offer. He became an Apprentice engineer, and soon was teaching men twice his age. In the early 1970s his love of music led him to set up as a Record Producer. He built his own record company trading in 14 countries. After a disheartening court battle with global giants, he left the business world and went back into further education at the University of Edinburgh, becoming an Advocate in the Supreme Courts of Scotland. There he acted for the downtrodden and desperate as well as Greenpeace International. His specialism was in fighting international child abduction. 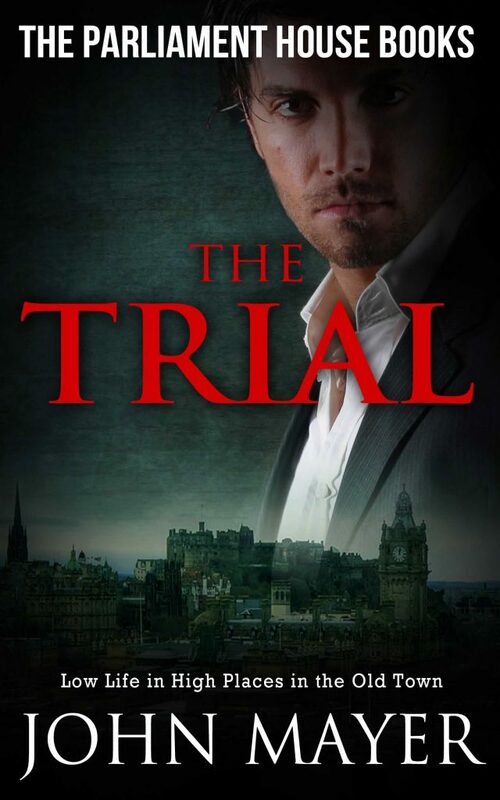 The Trial is the first full length novel in this series. Set in Edinburgh and Glasgow, it is more than a nod to Franz Kafka’s book of the same title. The Trial sees crusading Scottish Advocate, Brogan McLane, fight injustices so casually delivered by Low Life in High Places in the Old Town.